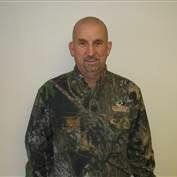 I am proud to be part of the Mossy Oak Properties Team. I am a life long resident of the southern Indiana area. I have a real estate broker for more than 22 years. Growing up in the timber industry, I learned at a very young age from my father the importance of hard work. Whether you are looking to sell your timber, farm or recreational land or looking to purchase, I will put that same hard work to use for you. I look forward to serve you in all of your real estate needs.